뉴질랜드 - 차이나 친선 협회에서는 아래와 같이 중국 문화를 홍보하기 위한 2개의 행사를 개최합니다. 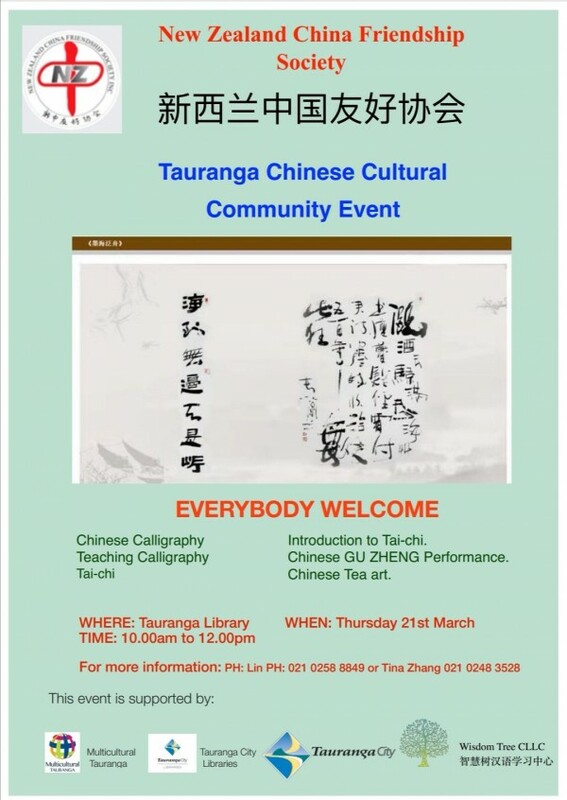 Chinese culture and arts, with visiting artists from China hosted by the NZ China Friendship Society. The first will be held this Thursday 21st March at 10am – 12pm at Tauranga City Library. The second will be in Te Puke on Saturday 30th March from 10am – 1.30pm at Te Puke Lyceum Club, Te Puke.